A new study from Consumer Reports suggests some popular juices contain high levels of arsenic and lead. Amid public concern over contaminated juice, the magazine announced Wednesday that it had tested 88 juice samples, and found roughly 10 percent of samples – mostly from five brands – had arsenic levels above the federal bottled water standard of 10 parts per billion (ppb). 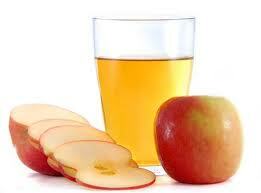 Arsenic levels in apple juices ranged up to 13.9 ppb. Grape-juice levels were even higher, up to 24.7 ppb. Most of the arsenic was inorganic, a form that has been linked to cancer. Arsenic wasn’t the only contaminant found in juice. Twenty-five percent of samples contained lead at levels above 5 ppb, the FDA limit for bottled water. There is no arsenic or lead standard in juice, prompting the magazine to call on the FDA to consider implementing standards for juice since kids drink a lot of juice. According to Consumer Reports, a recent poll shows 35 percent of children 5 and younger exceed pediatrician’s recommendations by drinking more than six ounces of juice per day – the size of a juice box. The Juice Products Association disagreed. Last September, talk show host Dr. Mehmet Oz created a stir when he announced on his show that apple juice contains potentially dangerous levels of arsenic, CBS News reported. Dr. Oz was blasted by critics for “health fear mongering,” even prompting the FDA to release a statement discrediting his report. So what does the FDA have to say now?